Gladwev Software has the smartest solutions when it comes to email migration. If you are here to download their Olm to Pst Converter full version, the links are given below. You can also try the free demo edition that doesn’t lock any feature but limits the number of conversion. This is the best approach to give you a true impression of its capabilities. The tool is officially titled “Olm to Pst Converter Ultimate”. It is easy to install, there is no set-up, and has a user-friendly interface. Targets or loads the data from the Mac Outlook identity folder directly. No need for Olm files. Features like merge contacts, calendar entries, split large Pst files, etc. We are going to take a look at each one of these. Targets or loads the data from the Mac Outlook identity folder directly. That means you don’t need to manually archive the data to Olm files. This is what makes the tool the best when it comes to data migration between Mac and Windows Outlook clients. It also plays a role in making the tool even more refined in terms of its interface, speed, accuracy, etc. Graphical wizard – The interface is very simple and intuitive. It was built by keeping the least to none experienced users in mind. The result is a software that does a very sophisticated job but is equally natural to interact with. The steps required to convert Mac Outlook 2011 to Pst files and the instructions make the entire process a breeze to go through with. Limit the size of Pst files. The tool splits large files according to the maximum allowed size. Avoid Converting full database out of lack of control. Because here you can manually uncheck the folders that you don’t want to convert. Merge Contacts and Calendar entries to one single ‘default’ folders of their respective type. “Custom” option to load Olm files. If your data isn’t stored in Mac Outlook identity folder, but in Olm files, the feature where it loads data from identity folder won’t work. Therefore, Gladwev has also given the traditional option to manually load Olm files from any location. Moreover, it can also load the entire identity folder from location other than the default. This allows users to load the data from multiple users, and not just their own. Multiple Olm files Conversion in one go – ‘Custom’ option also has a benefit of batch conversion. The tool holds enough power to go through batch conversion of large and numerous Olm files. What’s even more impressive is that Gladwev Software managed to make the tool stable and efficient, even at the face of heavy, large-scale migration. The quality, the integrity, and the speed is always maintained. Converts text with non-English text too – Converting text that is not in English is surprisingly complicated. The reason behind that is how the text characters are implemented within the emails using the standards for character encoding (UTF-8, ASCII, etc.). Ultimate tool has the adept data scanning system to pick text from any language and convert into Pst format appropriate with no loss or broken strings. Preserve Folder Hierarchy – Everyone arranges their emails to folders. It’s a good management habit. Users that deal with lots of emails daily have even more sophisticated structure of folders with ore sub-folders inside primary folders. This can get demanding for many software to read hierarchy properly and reconstruct it exactly same in Pst format. Ultimate rose to the challenge and brings forth the precise conversion logic that keeps your folder hierarchy safe. You will find all of your emails in exactly the same folders and order as they were in Mac Outlook. Maintains data integrity – The integrity of a data is a measure of how accurate the converted data is to the source. It also includes items such as non-English text and folder hierarchy mentioned above. But it is more than that. Most commonly, minor information elements are generally ignored by converters. But not by This tool will keep everything converted without modification, and essentially gives you the Pst files that are the copies of the source (Mac Outlook database or Olm files). It keeps data preserved such as, email headers, email attachments, nested messages, read/unread status of emails, S/MIME defined content, text formatting inside email bodies, table formatting, embedded images or any graphical objects, etc. 24×7 Customer Support – Though, the interface is quiet easy to use, and every feature feels intuitive to apply at the right point, the value of an effective support can’t be denied. Gladwev Software has always been known for their friendly, responsive round-the-clock support team. Ultimate is also backed up by the same level of support that is always there, next to you, ready to help you whenever required. Free Updates for Lifetime – Every software in today’s time can lose its value quickly without being updated regularly, as the platform it runs on and the other programs it interact with keeps on updating regularly. It applies strongly to email migration tools. As the Outlook clients keeps on updating, their data files also get changed over time. Even the entire platform (Mac or Windows) change and are being updated regularly. To keep that in mind, “Olm to Pst Converter Ultimate” also rolls updates frequently to maintain its performance and value with the ever changing time. The good news is that, unlike other tools in the same category, it offers life time FREE updates. Never pay again after your initial purchase. No renewal fees. No charge for updated editions. No hidden fees, no “small-print” charges. You can order the full version or give it a shot using the free trial edition. The links for both are given below. 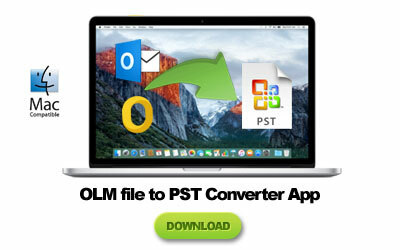 ← Looking for Free Software to Convert Olm to Pst? Read This!